Just click on the blue marker to get your directions! If wanting to visit the farm , please contact us first to make sure we are not on a delivery or away from the farm due to a family get-together or pickup. 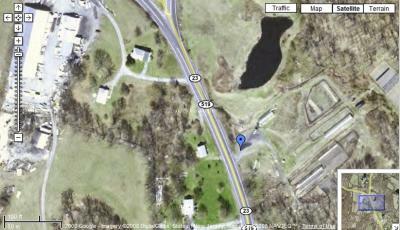 Our farm from the air, courtesy of Google Maps - notice our "fish" pond!